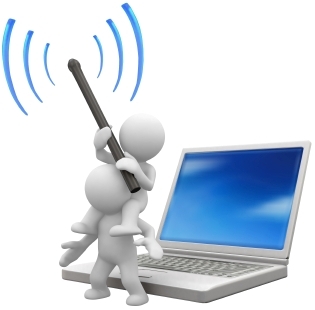 Wi-Fi Offloading - What Does It Mean? What's Wi-Fi offloading? This is a technique used by wireless carriers to basically reduce usage of their cellular networks by having you use your home or free local WiFi hotspots for your smartphone's data connection. You may be asking "who cares?!" The history behind smartphones using WiFi is fascinating when you think about where it has evolved to today. And even more importantly, as a customer, you'll see a lot of communication from your wireless provider about this topic, including via email, SMS, and on device applications. The History - Carriers Hated WiFi! This is the aspect that I find the most interesting about Wi-Fi offloading. When smartphones first became mainstream, some carriers either disabled WiFi functionality on smartphones, or had the OEMs (Original Equipment Manufacturers) exclude a WiFi radio altogether! Why? They felt that keeping customers using their cellular network would force us to consume more data, and ultimately we would buy higher priced plans that included more data. In other words, it was a simple revenue grab. If customers learned that we could basically use unlimited data on free networks, that would result in less carrier revenue. This logic became even more concerning to wireless network providers when VoIP (i.e. Voice over Internet) calling technology became better and more reliable. In other words, using WiFi, we could make voice calls using Google Voice, Skype, and other similar products. This would in turn result in us buying less voice minutes from carriers; again another revenue concern. As data usage continued to grow with more and more capable smartphones, and applications like Facebook, Skype, Apple Face Time, and thousands of other popular data intensive applications grew in popularity, wireless carrier's network capacity became a concern. In other words, speed sucked and customers were unhappy! Carriers ultimately figured out that having customers use WiFi networks as much as possible (i.e. offloading data traffic onto WiFi networks = Wi-Fi Offloading) was a far less expensive alternative to building out additional data capacity on their own cellular networks. Carriers like AT&T (the first iPhone provider) even went so far as to restrict Face Time from being used on its cellular network; it became a WiFi only app! Perhaps they would lose some top line revenue as consumers determined that they didn't need to buy as much data, or didn't need as many voice minutes, however, ultimately, that loss would be negligible compared to the cost of building out networks to support the tremendous increase in data bandwidth (i.e. capacity). We're talking about billions of dollars to build out and maintain network capacity! In addition, if capacity isn't appropriate, and customers experience poor speeds, carriers will lose out due to unhappy customers who may cancel service, or at least call customer care to inquire or complain, which in turn results in lost revenue or additional support costs. Absolutely! Rather than make it harder for us to connect to WiFi networks, carriers are investing a lot of time and resources into making it as seamless as possible. For example, operating systems like Android and iOS make it almost transparent to us user by automatically switching to WiFi when we're at home. Other apps will now login to free WiFi hotspots (if you give the application permission to do so) as soon as they're in range, and seamlessly switch back to cellular when you're no longer in range. These applications do this by automatically logging into free locations at places like Starbucks, McDonalds, airports, etc. Keep in mind that none of this connectivity can happen if we turn WiFi off on our smartphones. So we see a lot of messaging from carriers about turning WiFi on, and how it can help to save battery life (true), and how we can get faster data speed (mostly true). The only real concern is that free WiFi hotspots have their own inherent security risks, and generally speaking should be considered less secure than our home WiFi network, or even our carrier's cellular network. That said, if you have a virus scanner and firewall installed on your phone, you should be fine. Wi-Fi offloading is good for carriers because it saves them from having to build out expensive networks to the same degree that they otherwise would have to. This translates into either lower prices, or at the very least not having to raise prices. As customers, we also win, not only by avoiding price hikes, but WiFi is generally faster, and does result in better smartphone battery life. As WiFi to cellular switching intelligence has become so much better, we don't generally sacrifice phone or application performance by enabling Wi-Fi offloading. And now that carriers are making the process even easier with more sophisticated applications, it really is a painless experience. So yes, it really is a win-win for both customers and carriers! 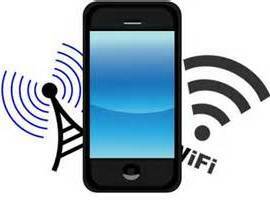 Check out the Prepaid WiFi section to learn more about Wi-Fi technology!